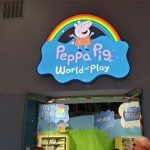 Peppa Pig World of Play Great Lakes Crossing review, pics, and info. 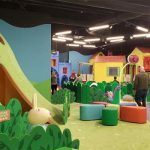 Review of the preschool attraction, Peppa Pig World of Play located at Great Lakes Crossing in Auburn Hills. This is the 2nd US location for the Peppa destination, the first was built in Dallas. 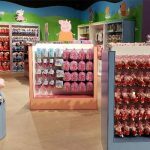 Peppa Pig World is now open at Great Lakes Crossing Outlets and joins family-fun attractions Sea Life Michigan and LEGOLAND Michigan but are owned by separate entities. 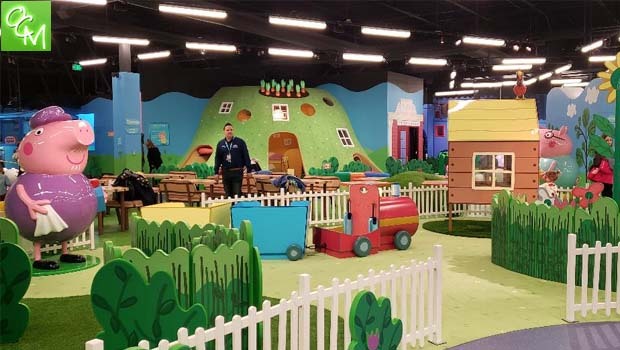 This location brings the magic of the Peppa Pig children’s TV show to life with playscapes resembling scenes from Peppa Pig. 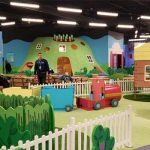 Peppa Pig World of Play is a new indoor play center designed specifically to give pre-school children an opportunity to step into the magical world of Peppa Pig and have fun with their favorite TV character in a unique setting packed full of activities. 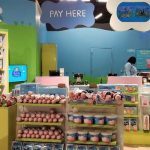 Peppa Pig World of Play takes families on a journey where they can join Peppa and her friends to explore and interact with instantly recognizable locations from the show in a number of colorful playscapes that have each been recreated from the hugely popular animated series. Children can get their photo taken like at the amusement park rides and view it at gift shop and kids love jumping in the faux mud puddles while watching the TV screen as they jump along with the characters and make all the squishy sounds. Peppa’s world is a big place! 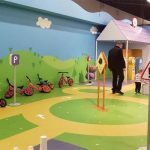 There are even bikes available for riding on the little track and can go through the bike wash while exploring the World of Play. 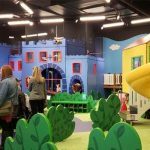 This incredible indoor play center features 14 stimulating play areas designed to fuel the imaginations of young children through a variety of interactive activity-based play that brings the incredible world of Peppa Pig to life. There is also a theater, gift shop, cafe, and facilities for families to relax and play and plenty of photo opportunities. 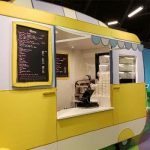 Peppa’s World has a tiny cafe that features both kids meals baskets (sandwich, or pizza, fruit cup or carrots, cookies, water/milk/juice) and meal baskets for parents (same as the kids meals but larger portions). The cafe also has these menu items ala carte and plenty of hot and cold drinks.